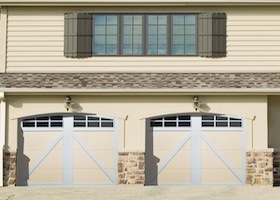 The Raynor LuxeVue or AP200LV is a beautiful and rugged garage door from the Aspen series. 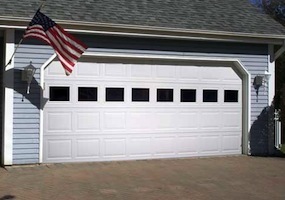 With extra-large, deluxe windows, the AP200LV is the perfect choice for a high-end looking garage front. Choose from a wide variety of panel styles to create a unique look that compliments your home’s aesthetic. Equally as strong as it is beautiful, the AP200 is a residential steel garage door from the Raynor Aspen series with an R-value of 18.0. Two inches thick, the AP200 is constructed of Neufoam™ polyurethane insulation and finished with a Raynor’s WeatherLock™ section joint. Other notable features include a hot-dipped galvanized steel track and heavy-duty nylon rollers with steel ball bearings for long life and quiet operation. 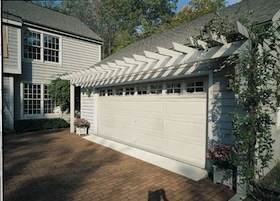 The Raynor Aspen AP138 is a durable, residential steel garage door. Created from steel and Neufoam™ polyurethane insulation, this model is 1-⅜” thick and features an R-value of 13.0. Other notable features include a hot-dipped galvanized steel track and heavy-duty nylon rollers with steel ball bearings for long life and quiet operation. Raynor ShowCase steel garage doors feature 2" thick sections, a continuous thermal break between sections, and expanded polystyrene insulation bonded between two steel skins for an outstanding 10.25 R-value. 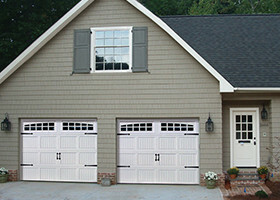 ShowCase garage doors carry a "For As Long As You Own Your Home" section warranty against rust and a 5-year warranty on hardware and springs to the original purchaser. The combination of durable, 24 gauge steel, defined raised panel styling and authentic woodgrain texture gives your home curb appeal with TradeMark™ steel garage doors. TradeMark garage door sections are constructed from high-strength, rust-resistant galvanized steel and are coated with a baked-on polyester paint finish for extended life. 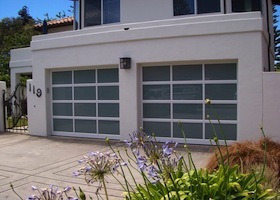 An inspiration in both form and function, Raynor StyleView™ garage doors offer architectural flexibility, maximum visibility and extreme durability in maintenance-free aluminum. The Custom Profile, Wide Profile and Narrow Profile models feature a series of unprecedented designs, architectural glass options and 187 ArmorBrite™ color finishes for showcasing a home's unique flair. Designed to provide unsurpassed character in a maintenance-free design, Rock Creeke overlay doors feature an environmentally stable trim board material to achieve a carriage house look. With a long-lasting vinyl capstock, this trim board material has an attractive appearance that holds up over time. The material technology can utilize "reclaimed" wood fiber and vinyl from post-production processes, helping to save natural resources. 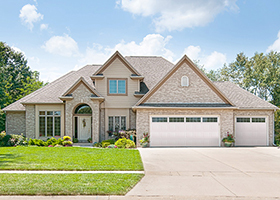 Northern Door Company Inc. is the premier distributor of Raynor Garage Doors in the Greater Minneapolis area and upholds a high standard for customer service and expert repairs.